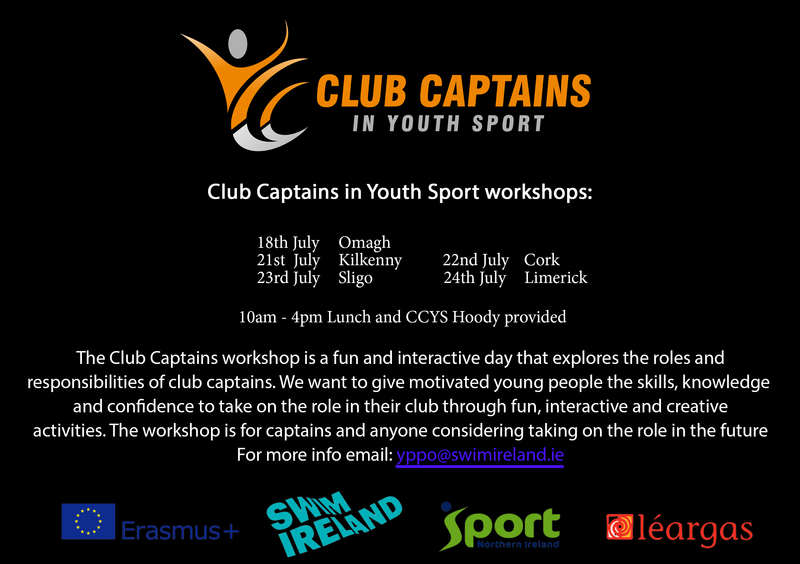 The Club Captains in Youth Sport Workshop has been rescheduled to Tuesday 24th July 2018. This will take place at the South Court Hotel Limerick from 10am – 4pm. All Swim Club members are welcome to attend. These workshops have a great benefit for personal development.